If you are thinking about starting a business from home and don’t know where to start then this article from Mark Ford will shed some light on what you need to know and it gives you some resources to help you get started. In this article Mark Ford reveals the questions you need to ask yourself before starting a business from home to make sure you hit the ground running from the start. Starting a business from home can be very daunting as you will be entering the unknown and have many concerns. It should also be very exciting because it could be the pathway that leads you to your dream lifestyle of being a home business owner. It could be risky but the rewards could be amazing so unless you take the leap of faith you will always be wondering of what could have been! To take away a portion of the risk and any concerns that you may have it is important to lay firm foundations that your business can sit on and that starts with planning. In this article I will be asking you 5 questions that you need to sit down and find the answers to before you embark on your road to entrepreneurship. If you can work these five things out then you will increase the chances that your home business will become successful in the long run. Unless you address these questions then you may be planning to fail and that is the last thing you and I want. 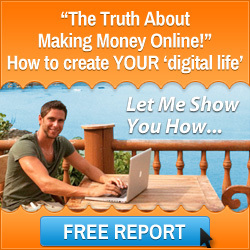 So lets dive in and look at what you need to know when starting a business from home. Starting A Business From Home – What Products & Services Are You Going To Sell? For any business to survive you need to sell products and services that are in demand. So you need to do some research to find out what types of products and services are being searched for and there are a few resources that you can use to find out. The first resource would be Google Trends to gather data to see what is hot in certain parts of the world. The second would be to look at Amazon and go to their bestseller categories to see what people are buying right now. You can then then analyze this data and leverage the internet to reach a world wide audience and supply the demand. Starting A Business From Home – How Will You Create Your Website? You will need to have a website to offer the products and services you have chosen to sell. There are lots of platforms that you can use to do this but I would recommend WordPress because it is easy to add content and there are many themes that would suit selling physical or digital products. 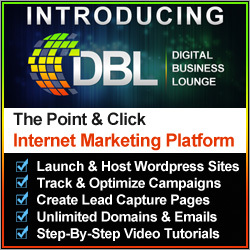 To find out more about WordPress and building websites click on the banner below to learn how Digital Business Lounge can help you get your websites online. Starting A Business From Home – What Content Will You Add To Your Home Business Website? There is a saying that “Content Is King” and that is very true. You will need to think about what content you are going to put on your website. You need to always think of the visitor first and offer value to them. Now your content can come in many different mediums such as written text like this post, videos which provide information about your business and how your products and services will benefit the visitor, or audio files and images. To learn more about website content click here to download a free copy of my e-book called Your Blog Content. Starting A Business From Home – What Happens If You Haven’t Got Any Products Or Services Of Your Own? This can be a big hurdle to overcome especially when you are starting out. You may not have the funds to buy inventory or create and test your own products but there is a simple solution to this problem. Based on the data you have collected when finding out which products are in demand you will find that there are affiliate programs where you can promote ready made products and services. 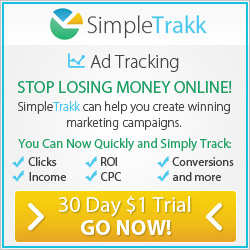 As an affiliate your task is to market these products both online and offline. Find a hungry audience and then supply the demand with the solution. When someone makes a purchase you will receive a commission. Well this comes down to marketing which I just mentioned. There are many ways to drive traffic to websites. Some of the methods are free and some you will have to pay for. I suggest you do both methods to give you more opportunities to attract people to your offers and I have a very special offer for you. 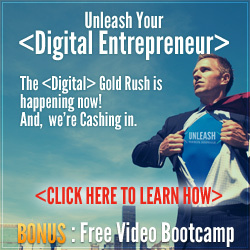 The online business education company that I am associated with are offering an incredible online business start-up bundle which has $350 worth of online business education for free. To learn more about this click on the banner below. If you are thinking about starting a business from home you need to find the answers to the questions that I have posed. Then the resources I have shared with you will enable you to get your business online and teach you how to market the products and services you are going to offer. I wish you every success. This entry was posted in Home Based Business, Start Home Business and tagged mark ford, start home business, starting a business from home. Bookmark the permalink.